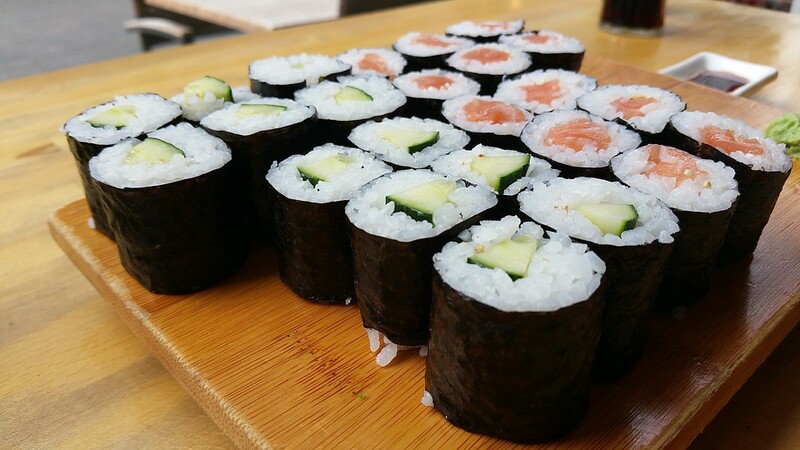 The “Sake and Sushi Party and Auction” will be held at the community room of Grace Episcopal Church on Kings Highway on Saturday, June 3 at 7 p.m. The Haddonfield Japan Exchange (HJE) will be hosting a fundraiser on Saturday, June 3 at 7 p.m. The “Sake and Sushi Party and Auction” will be held at the community room of Grace Episcopal Church on Kings Highway. It is the primary fund raiser for this student exchange program between students from Haddonfield and Kasukabe, Japan. The HJE is a 501 c-3, nonprofit program that on alternating years hosts Japanese students for two weeks during the summer. During that time the HJE Committee plans activities, such a tour of the Indian King Tavern, and a walking tour of Haddonfield and the local merchants locations other activities include tubing on the Delaware, visits to the historic areas of Philadelphia, bowling, visits to New York as well as a day at the New Jersey seashore. In return these visiting students will interact with local seniors sharing traditional Japanese crafts such as origami and calligraphy as well as local dances. The backbone of this exchange is the Haddonfield families that will host and open their homes and hearts to these Japanese guests. Next year, Haddonfield students will visit Japan in a similar situation living with Japanese host families. Residents are encouraged to come out and support the program. Tickets may be purchased at the Haddonfield Information Center or can be purchased at the door. The donation is $30. For those that don’t care for sake or sushi, there will be alternative food and beverages. Anyone with questions should contact Bill Brown at (856)429–4368.